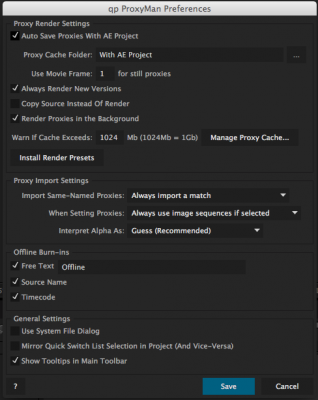 Do you ever use proxies to speed up your workflow in After Effects? If not, you should! 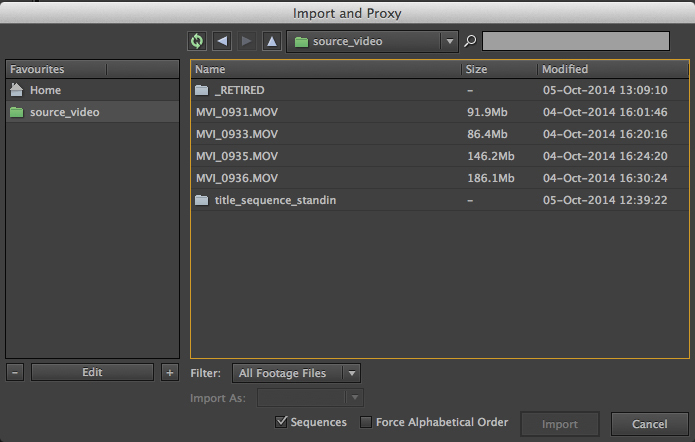 Proxies are offline, locally rendered copies of footage, which stand in for your master footage while you work. With 4K and larger footage now becoming the norm, constantly pulling all those pixels off network attached storage can slow things down. A local proxy with the right render settings can make working at these sluggish speeds a thing of the past. 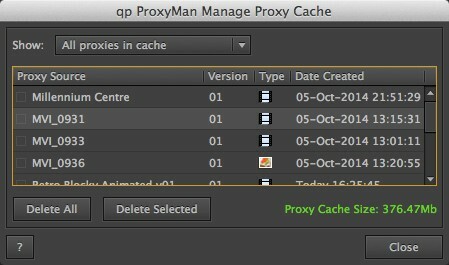 qp ProxyMan takes AE's own proxy feature set and wraps it into one simple, yet powerful tool panel. 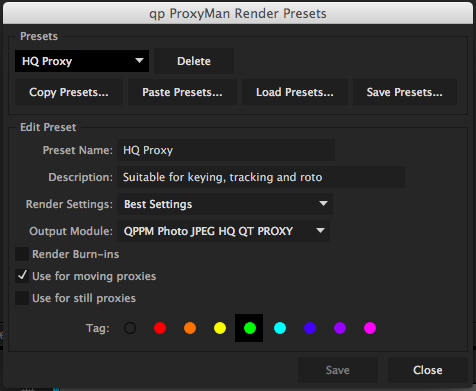 Now rendering proxies is as simple as importing footage into your project - qp ProxyMan takes care of the rest, even rendering your proxies in the background and setting them silently, while you work. 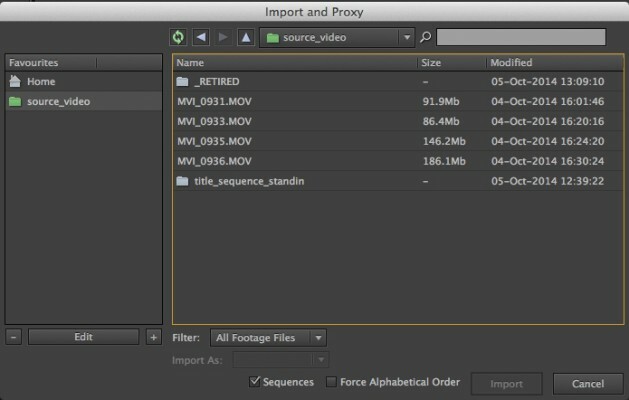 Import one or more pieces of footage into After Effects, and automatically render proxies in the background with the currently selected Proxy Render Preset (Please note - Background rendering is restricted to three tries in the trial version), or copy the original source (not enabled in the trial version). This feature is available by alt/opt-clicking on the Import and Proxy button. Replace a piece of footage and automatically make its proxy. Render proxies, or copy original source for footage already imported into your project, or to dramatically speed up pre-compositions without committing to a final pre-render. Quick Make will make proxies for all footage and/or compositions with a single click. Browse the proxy cache to set a proxy for a piece of footage or comp (or browse for the proxy elsewhere). Use 'comp' footage (small preview clips from stock footage websites, like Shutterstock) or lower-resolution standins (for example, half-res work-in-progress renders from your CG department) as if they were the full-res item. Quickly change versions, or bring in your full-res footage with the click of a button. Quickly remove proxies from your project, with the option of deleting them from the cache. Alt/Opt-click the Remove Proxy button to remove (and delete if you want) all proxies from your project in one go. You can also manage the proxy cache from here. qp ProxyMan uses a folder on your hard drive (preferably a fast, local drive, like an SSD) to store all your rendered proxies. This is known as the "Proxy Cache". Keeping all your proxies in this one place makes managing your proxies a breeze; the Manage Proxy Cache dialog box, accessed from the Preferences dialog, lets you keep track of how large the cache has got, and lets you delete old, unwanted proxies to keep disk usage to a minimum. 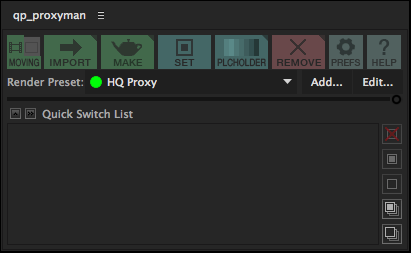 NEW to version 1.5: you can now set your proxy cache to be located alongside your After Effects project for maximum portability. qp ProxyMan is built using the Quarterlight Pictures Scripting Framework (QPSF), which includes the brand new file import dialog, with support for image sequences, and the rich help dialog also found in qp Version Snapshot. qp ProxyMan is a dockable panel, which should be installed in the ScriptUI Panels subfolder of your After Effects Scripts folder, and accessed via the Windowmenu.